Twenty-three years after the publication of his acclaimed novel Mason’s Retreat and six years after The Right-Hand Shore, Christopher Tilghman returns to the saga of the Mason and Bayly families in Thomas and Beal in the Midi. Thomas Bayly and his wife, Beal, have run away to France, escaping the laws and prejudices of post-Reconstruction America. The drama in this richly textured novel proceeds in two settings: first in Paris, and then in the Languedoc, where Thomas and Beal begin a new life as winemakers. Beal, indelible, beautiful, and poised, enchants everyone she meets in this strange new land, including a gaggle of artists in the Latin Quarter when they first arrive in Paris. Later, when they’ve moved to the beautiful and rugged Languedoc, she is torn between the freedoms she experienced in Paris and the return to the farm life she thought she had left behind in America. 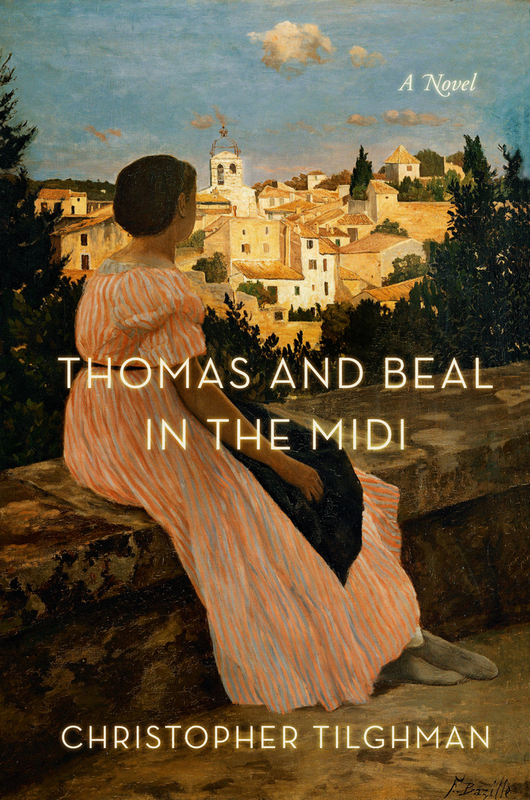 A moving and delicate portrait of a highly unusual marriage, Thomas and Beal in the Midi is a radiant work of deep insight and peerless imagination about the central dilemma of American history—the legacy of slavery and the Civil War—that explores the many ways that the past has an enduring hold over the present. Christopher Tilghman is the author of the short-story collections, In a Father’s Place and The Way People Run, and the novels, The Right-Hand Shore, Mason’s Retreat, and Roads of the Heart. He is a professor of English at the University of Virginia and lives with his wife, the novelist Caroline Preston, in Charlottesville, Virginia, and in Centreville, Maryland. Meet acclaimed novelist Christopher Tilghman as he discusses his latest book, Thomas and Beal in the Midi.